The Bailies of Bennachie have received a grant of £10,000 from the Heritage Lottery Fund as part of 2017 History, Heritage and Archaeology . 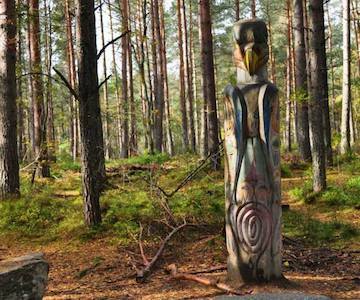 This project is a partnership of The Bailies of Bennachie, Smart History and Aberdeen University and supported by Aberdeenshire Council, Aberdeenshire Council Ranger Service and Forestry Commission Scotland. Creating a simple garden and native tree planting at one of the Colonist houses. Improving the Bailies of Bennachie and Bennachie Landscapes Project Digital Archive. Please Contact Us if you would like to get involved in any parts of the project.